1. 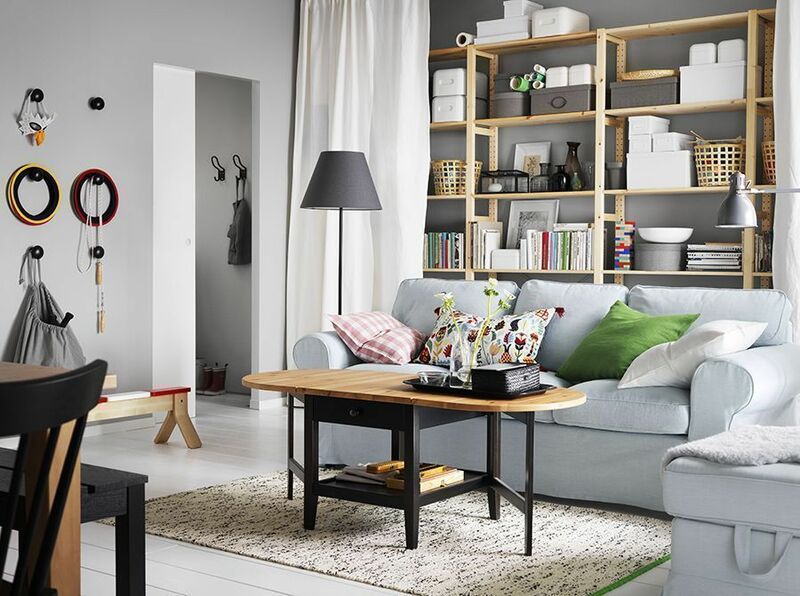 IKEA launches 2017 Catalogue. Looking for quality and low-cost pieces to furnish your home with? Then get ready to flip through the Ikea 2017 Catalogue. Launched to the press early this month, the Ikea 2017 Catalogue features products that advocate Democratic Design—Ikea's governing design principle that consists of five key dimensions: form, function, quality, low price, and sustainability. Watch for the SÄLLSKAP collection, which is focused on print patterns and dining pieces in solid materials (available on October 2016); the Ikea PS 2017, featuring smart and mobile home solutions like tables that double as stools and stackable moving boxes (available on February 2017); and plenty of ideas for sustainable and green living. The tagline of this year's catalogue is "Designed for people, not consumers." It's further explained in the catalogue: "Consumers are almost like people. Except they never laugh with food in their mouth. Or over-cook the pasta. Or exist. You wouldn’t call your best friend a great consumer, would you? Or bring your mother flowers because she’s such a good consumer?" The Ikea 2017 Catalogue will be out on 25 August 2017. 2. Republic of Fritz Hansen's new accessories line. Objects, the brand's new accessories line, includes 12 designs that aim to inject a Nordic touch into your home. Made from genuine materials, this line were designed by Danish and international designers including Studio Roso, Wednesday Architecture, and Jamie Hayon. Available at W. Atelier, these products stay true to Fritz Hansen's high quality and exquisite craftsmanship. "Creating Objects, we looked back into our rich heritage, but also reached out to Danish and international contemporary designers in order to continue our legacy in fine furniture. This has resulted in a family of items that will make you stop and think—and hopefully capture your fascination, too. These are items that will enhance the ambiance of your home by their mere presence alone," says Christoffer Back, director of Fritz Hansen Objects. 3. Cosentino's Sensa line introduces 8 new exotic granites. Sourced from quarries around the world including India and Brazil, the new range of granite workstops from the Sensa line features functionality and designs that boast of unique and exclusive veining. The eight new granites—Black Beauty, Glacial Blue, Orinoco, Colonial White, Indian Black, Ice Blue, Moak Black, and Bianco Antico—are all high-resistant to stain and are low-maintenance. “Sensa shows again the commitment from Cosentino to the Singapore market and now Cosentino can offer a full solution of Silestone, Dekton, and Sensa. This is a product that can be sold with the highest levels of confidence and used daily with the knowledge that you cannot stain it,” says Mr Cameron Ross, area director for Asia of the Cosentino Group. 4. Haute Deco's floral-inspired doorknob. Sometimes, it's the details the bring out the beauty of a home. Those who pay attention to the littlest of details can now turn to Haute Déco, a supplier of petals-themed doorhandles. Inspired by the four-leaf clover, which represents hope, faith, love, and luck, the Petals for Decorex is a pretty addition to any space. They're more door jewellery than doorknobs, the company emphasises. Check out the items here. 5. French design company introduces sausage-shaped lamps and other quirky items. Petite Friture's new home decor items are playful and great conversation pieces. Designed by Sam Baron, the So-sage pendant was meant to resemble sausages hanging in a butcher's shop. Even the mirror is not your usual one—pink splashes designed by Constance Guisset add oomph to the item.